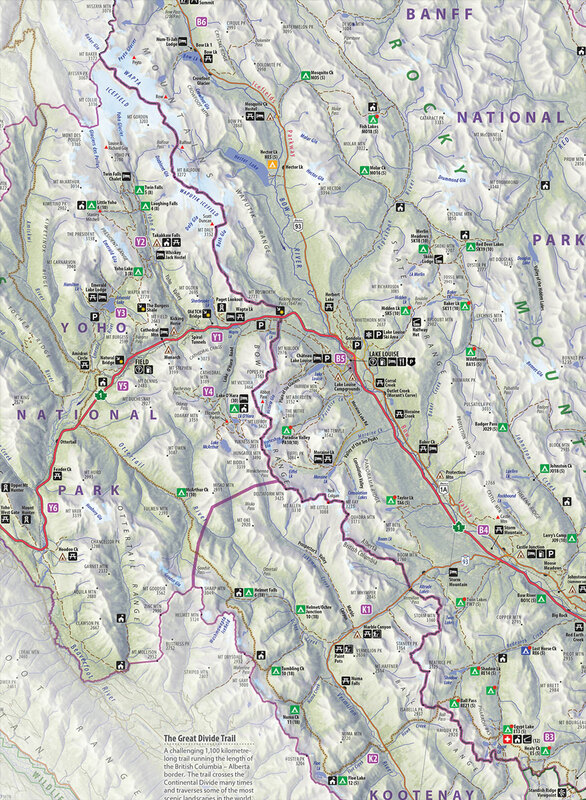 The map fills a gap between the publishers’ overview maps of Banff with Jasper NP or the Icefields Parkway, both at 1:400,000, and the more detailed coverage of the area by their hiking series at better scales. Road network indicates unpaved and gravel roads in variable condition, with driving distances on main routes. Also marked is the railway line along the Columbia River. Topography is shown by contours at 200m intervals but the peak heights are given in both metres and feet, with plenty of names of various geographic features such as individual mountain ranges, valleys, peaks and passes, etc. 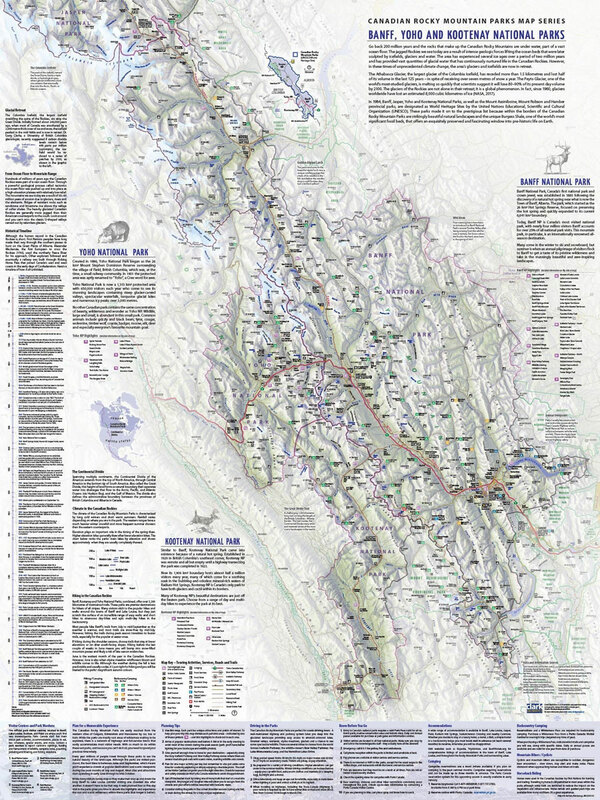 The map indicates the boundaries of the national parks and other protected areas and shows main hiking trails. Symbols indicate locations of visitor centres, campgrounds, hostels, chalets and lodges, picnic areas, car parks, riding stables, etc. The map has a latitude and longitude grid at intervals of 15’. 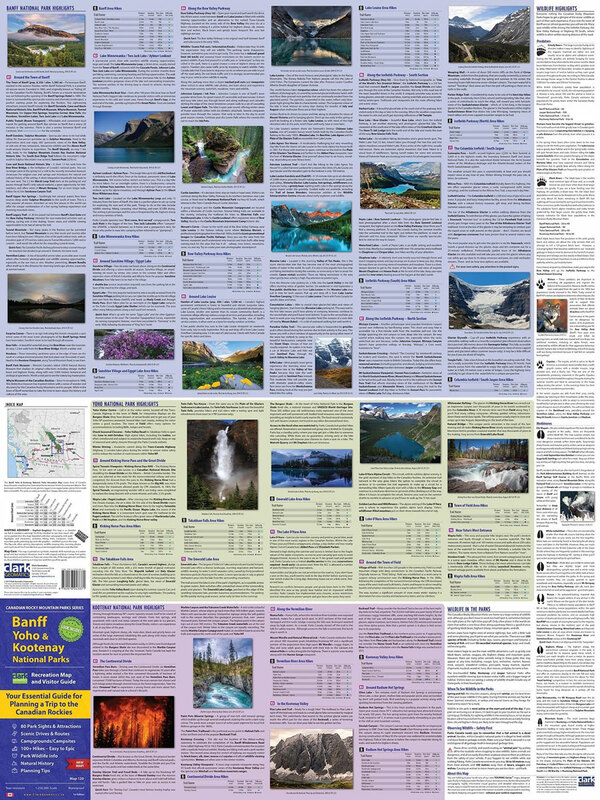 The whole of the reverse side is covered by extensive notes about the various aspects of the park, including its history, geology, eco-communities, wildlife, etc. Current edition of this map was published in 2000.